In 2006, a trip to Ghana changed the trajectory of my life. While studying for a nursing degree, I spent a summer working as a nursing assistant in a small village. I had been on service trips before, but this time was different. I saw firsthand the enormous drive these communities have to create change. Here, I quickly found my second home. That same year, I founded MED25 International. 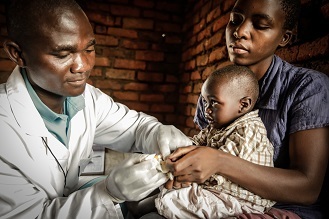 Now more than ten years later, MED25 is joining forces with VillageReach to expand the MED25 Model to new communities. MED25 builds on the right to adequate healthcare determined by Article 25 of the Universal Declaration of Human Rights, believing that all individuals have the right to access quality, culturally appropriate, and affordable healthcare. To accomplish this, MED25 creates sustainable healthcare solutions for, and in collaboration with, rural African communities. These healthcare solutions are supported by social enterprises created to meet a demand determined by the community. Communities have unique insight into their needs and are an incredible source of inspiration for how these needs might be addressed. By listening to these ideas, social enterprises are developed with the community, without imposing preconceived notions of their needs. 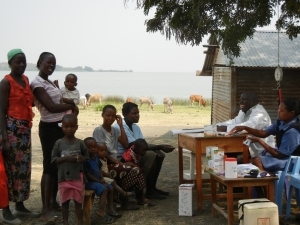 In Kenya, MED25 helped establish both a clinic and a mortuary. The community identified a mortuary as a top business need, and within two months it was profitable. The income from the mortuary now supports the clinic’s operating costs, providing a long-term, local source of support for quality and affordable healthcare. Ensuring communities are the primary driver of change leads to long-term success and increases the potential impact of foreign investment. Since 2006, MED25 has proven the merit of this approach, investing in two successful and self-sustaining health facilities and associated businesses that increase access to low-cost health services for more than 100,000 people. When MED25’s project in Kenya became fully self-sustaining in 2015, the organization began to evaluate its future. The MED25 approach has seen success and now has the opportunity to improve healthcare access for even more communities. I knew that taking the MED25 approach to scale in new places would require resources and support beyond the capacity of a small organization. After connecting with VillageReach as a partner, I soon realized an incredible opportunity was right in front of us. Joining the VillageReach family gives MED25 the opportunity to have a far greater impact than it could have had on its own. MED25 and VillageReach are united by the shared pursuit of innovative approaches to healthcare in rural communities in Africa. Communities are central to our work and sustainability is a key measure of success. Joining with VillageReach allows me – and MED25 – to work with a team of like-minded individuals with expertise in bringing ideas to scale. I am excited and inspired by the work ahead. Together, we can explore new countries and contexts, and continue to evolve the community-focused social enterprise approach to meet the healthcare needs in rural communities across the continent. Rebecca Okelo is the founder of MED25 International and now works as a Manager in the Health Systems Group at VillageReach. She received her Bachelor’s of Science in Nursing from Seattle University and worked as a registered nurse at Virginia Mason Medical Center until transitioning to full-time Executive Director of MED25 in 2016. 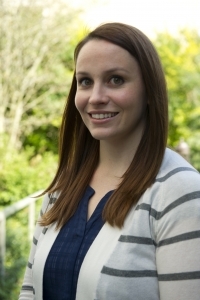 Rebecca also holds a certificate in Nonprofit Management from the University of Washington and a Health Leadership Executive MBA from Seattle University, receiving Alpha Sigma Nu and Beta Gamma Sigma honors and the Health Leadership Executive Achievement Award in 2015.